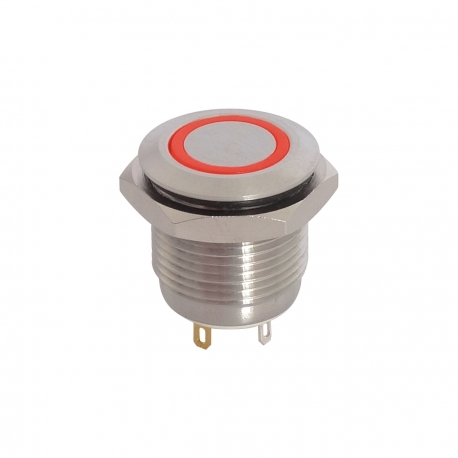 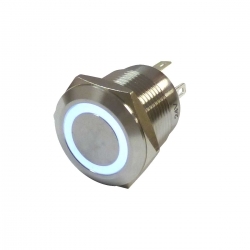 18mm Vandal Proof Push Button / Ring Illuminated / 12V / Red / IP65 / NO / SPST / (On) - Off / 16mm Panel Cut Out / Stainless Steel / Flat Button / Solder Terminals / RoHS / GQ16F-10E/J/R/12V. 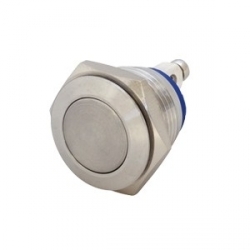 High quality non-latching 18mm vandal proof push button switch from a leading manufacturer to fit the standard 16mm panel cut out. (On) Off, single pole single throw (SPST) momentary function. 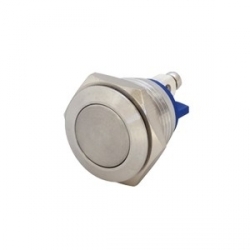 This vandal proof switch has a stainless steel body and is supplied with a rubber O ring to achieve an IP rating of IP65. 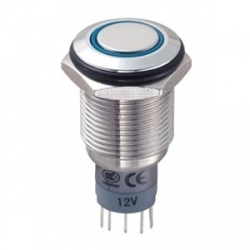 This is a 12V switch and operates at 12V only. 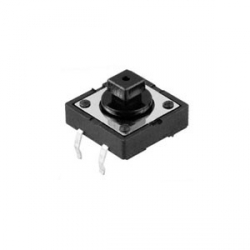 Complies with RoHS. 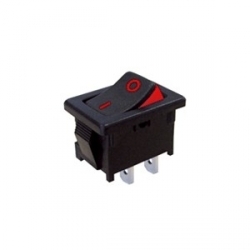 Suitable for 12 volt only.